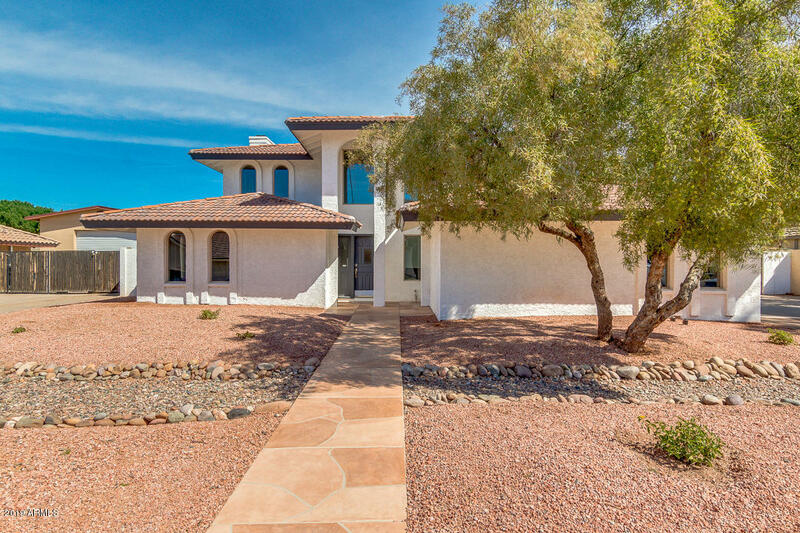 All ORANGE BLOSSOM ESTATES LO homes currently listed for sale in Mesa as of 04/23/2019 are shown below. You can change the search criteria at any time by pressing the 'Change Search' button below. "STUNNING remodeled and updated 4 bedroom + Den, 2.5 bath home with NO HOA. Curb appeal starts when you pull up to the home with low maintenance yard. When you enter, you'll find wood-look tile throughout, neutral carpet in main living areas. Walk into a kitchen chef's dream of: white cabinets, Quartz counters, stainless steel appliances, granite island with prep sink, cooktop with pot filler, and decor that is the envy of the neighborhood. Dining area will fit an 8-seat table. Den and laundry ro"
"This beautiful newly re-modeled 5 bedroom home with private pool is move-in ready and located in the highly sought after ''Orange Blossom Estates'' in Mesa! NO HOA! 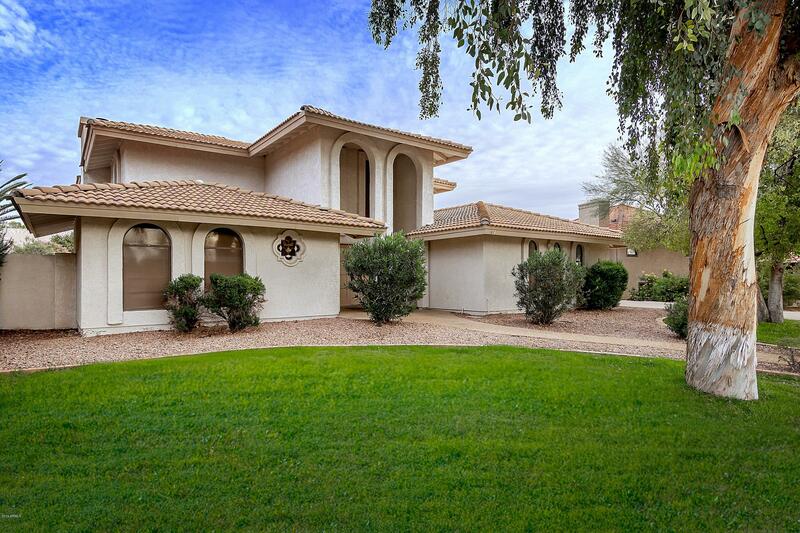 Home resides in one of the best school districts in the valley with quick convenient access to the 202. Back yard is very spacious and surrounded by Citrus trees and is a perfect place to hang out on the covered patio by the pool. Home includes recently upgraded dual A/C units and high efficiency front load washer/dryer and an over"